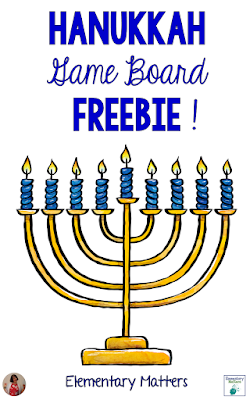 Looking for a little something to help your kids celebrate Hanukkah. This game can be used in many ways in the classroom! Board games like this to practice sight words, math facts, sentence fluency, or any skill that needs practicing! Just click this link to download your Hanukkah Game Board Freebie! Christmas, Kwanzaa, and Hanukkah Summarizing Task Cards!